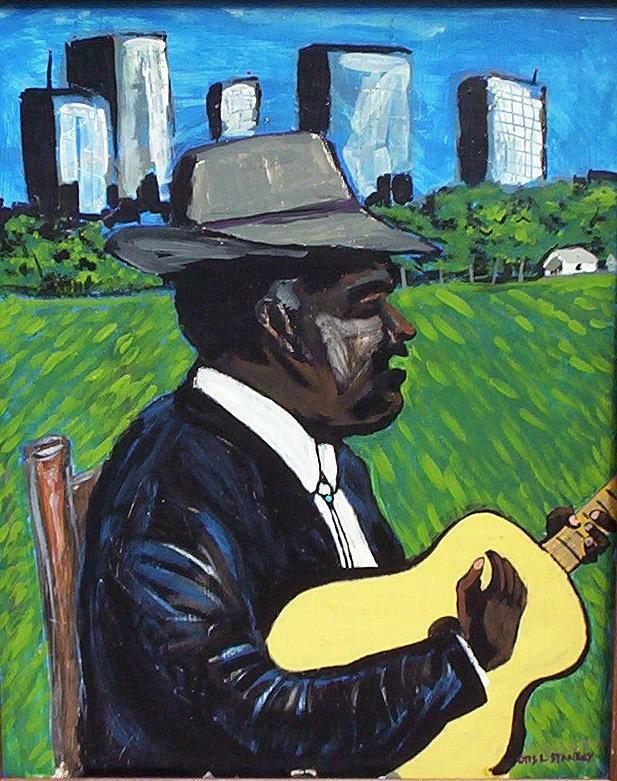 City Country Blues is a painting by Otis L Stanley which was uploaded on July 15th, 2010. I am mostly bedridden while recovering from surgery. This image allows me to transport away from physical discomfort and directly into the scene where I can allow the unfolding experience to bring joy, peace, discovery. It's like a still from a comfort film that I can step into while the outside world temporarily ceases to exist. Prayers for a steady recovery James. Glad the piece was a comfort. 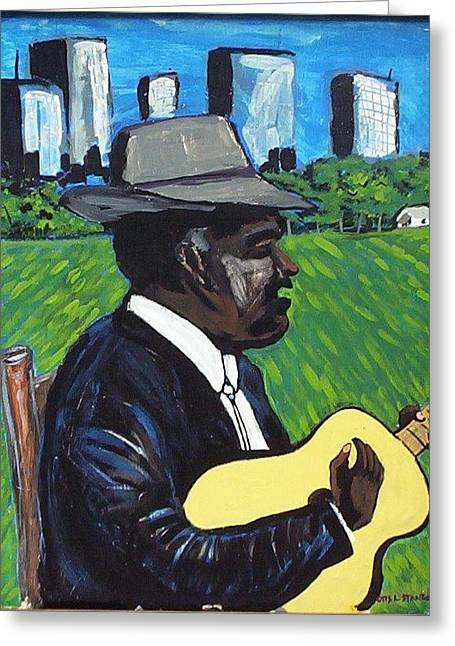 Love this piece of yours Otis! Adding my like now. Love the combination of city and country and John Jacksons body language. Excellent series. ..
Hi Otis, this is a masterful piece my friend. I love the blues. I can almost hear his strum. Otis I decided to choose this image of yours to wish everyone a peaceful MARTIN LUTHER KING day, with a song in your hearts... You know I love the symbolism and beauty of your gallery and this image seemed to need to be "heard" today! God Bless. ...now see, with Ken on my left (coast) and Helen on my right (coast) how can I go wrong? ...Cause ya'll bad! And that's a good thang. Peace, O. This is such a fantastic series Otis! As a fan blues fan, I am truly inspired by your current work! Keep it up as it suits your painting style incredibly well!